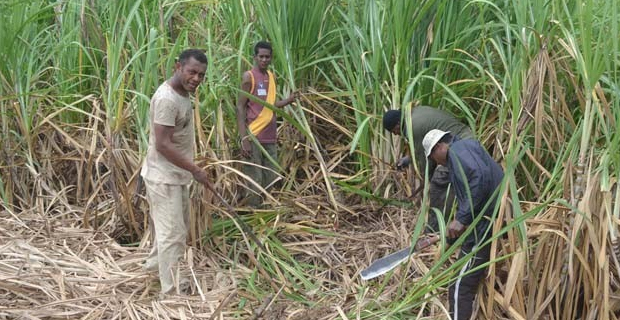 Close to 49 kilometres of cane access roads in the Koronubu sugarcane sector in Ba will soon be upgraded thanks to a $4.53 million partnership between the European Union and the Pacific Community (SPC) Rural Access Roads and Associated Infrastructure project. The project is to upgrade the 42 cane access roads in Koronubu and when completed it is expected to benefit around 360 cane farmers and their families by reducing the time taken to transport cane between their farms and the Rarawai Sugar mill in Ba. Head of Cooperation at the EU Delegation for the Pacific Christoph Wagner says this project tackles a key challenge for farmers, especially in the more remote areas of Fiji by easing the transportation of sugar to the mills. He says the project intends to deliver all‑weather cane access roads through rehabilitation works, notably improvement of drainage systems. SPC Director General, Dr Colin Tukuitonga says cane cartage is a very significant cost for sugarcane farmers and the SPC is pleased to support upgrading efforts to improve road conditions and encourage the industry to reduce transportation costs for farmers. The works are expected to be completed before the 2018 cane crushing season begins.